Vacuum Skin Packaging (VSP) now represents approximately five per cent of all protein packaging in Europe. Skin pack, or skin packaging, is a type of carded packaging where a product (or products) is placed on a piece of paperboard, and a thin sheet of transparent plastic is placed over the product and paperboard. 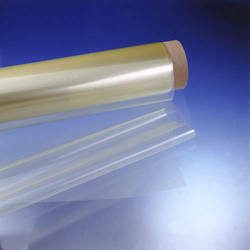 In order to keep pace with never ending demands of the customers, our company is instrumental in presenting excellent quality assortment of Vacuum Skin Packaging Film.